We want to share a very cool project that shares a kindred spirit with LED. Furthermore, we heard about this project because it was one of the works featured in this year’s recent Art in Odd Places in NYC, which is also very much up our alley. From October 6-9, AiOP activated 14th St. with installations, performances, and all sorts of projects centered on this year’s theme: Race. Race is also the title of the piece we’re posting about, by artist Lee Nutbean. 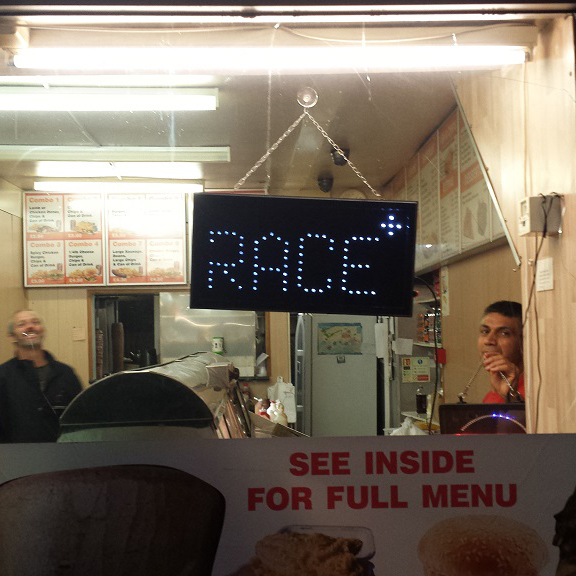 Nutbean’s piece is an LED display that spells the word “race” and, like LED, travels to different storefronts throughout the area. Nutbean’s twist is that the sign is connected to social media, and only turns off when online mentions of the word race cease. You can read more about it here. The simple, powerful sign is evocative whether or not a viewers knows about its clever online connection. It shifts between verb and noun, playing into and off of its surroundings, interpreted differently by each viewer passing by. We hope you look into AiOP and enjoy their mission as much as we do. It’s well worth getting acquainted with the participating artists. We’re newly inspired to continue with LED in the future, though we’re not yet sure what form it will take next. As their curators state, their work “requires openness to chance and vulnerability amid chaos” and that is exactly what has made working on LED so meaningful and enjoyable. 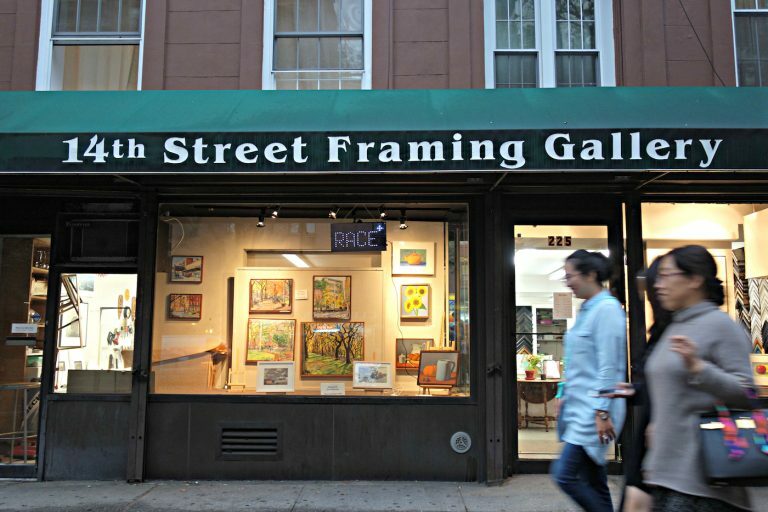 Photos courtesy of Art in Odd Places and Hyperallergic.